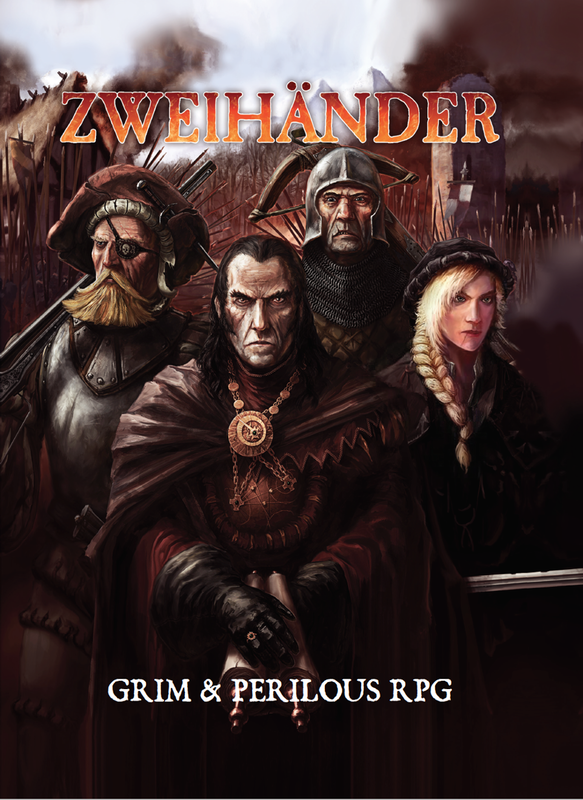 For those of you that have thus far resisted the temptation to pick up a copy of the Zweihänder Grim & Perilous RPG (Illustrated PDF Version), now is your opportunity to grab it for free. Yep, through November 1st you can snag this houseruled clone of Warhammer Fantasy Roleplay 1e. Its a damn good book and the price of free can't be beat. Don't hesitate too long, because if you do you'll miss out. Using the classical D100 system, you will create grim characters, write perilous adventures and build low fantasy & dark fantasy campaigns. These rules are perfectly suitable to run Renaissance and medieval-styled adventures, too. You can also use this book to craft homebrew stories set in the works of Andrzej Sapkowski, George R.R. Martin, Glen Cook, Scott Lynch and other ‘grimdark’-inspired worlds. ZWEIHÄNDER print-on-demand now available! The book comes with a full color cover, with black & white interior. We used the Hardcover Color Book (Standard Heavyweight) option to make the B&W images richer. In addition, the heavier paper weight makes this book retail quality! These rules are perfectly suitable to run Renaissance and medieval-styled adventures, too. thats amazing thanks for sharing this.